I just received my netduino from proto-advantage. This entry was posted in Electronics, Netduino on August 21, 2010 by stephen. I am excited over the newly released Netduino. Netduino is an electronics development platform using the .NET Micro Framework. The platform is designed with Arduino form factor. The idea itself is not new. GHI Electronics have a product called FEZ domino which is quite similar. 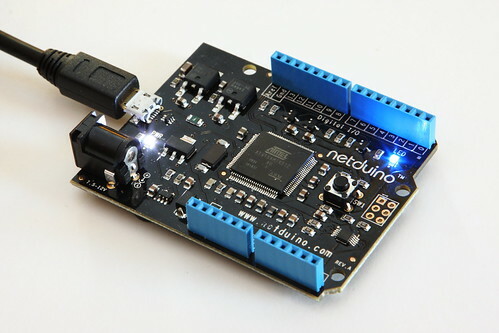 What sets Netduino apart is the open-source firmware and the cheaper, $35 price tag. I’m placing an order for one. I’ll post my review after I receive the board. I’ve received the board and have posted my initial impression. This entry was posted in Electronics, Netduino on August 9, 2010 by stephen.